I'm just going to let you know right now, I listen to a lot of Drake. Probably more than I should, and definitely more than I should admit to. When it comes to natural hair, there's only one thing that excites me more than a dope 3rd day wash and go: new hair products. So when Lisa from Up North Naturals slid in my DM's on Instagram, I was immediately hooked. I stalked that package from the time it left Canda until it arrived on my doorstep. The day it arrived, I played in them ALL. At that moment, I knew it was love. 0 to 100 real quick. Before I get all mushy and gushy, let me drop a lil' background on Up North Naturals. 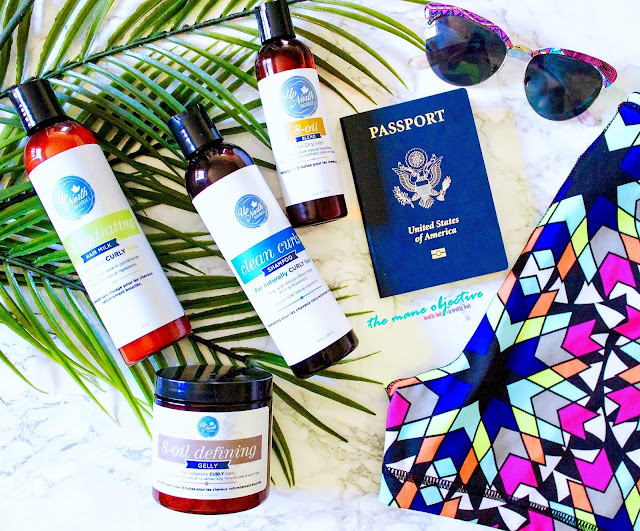 The Up North Naturals product line is the brainchild and founder of Lisa Keizer, and is made in T-Dot aka the 6ix aka Toronto. The line is 6 products deep, and consists of the Clean Curls Shampoo, TLC Replenishing Conditioner, Go-2 Hydrating Hair Milk, 8-Oil Defining Gelly, Twist & Curl Butter, and 8-Oil Blend. All of the products are made with 100% natural ingredients, have no artificial colors or fragrances, and are paraben, silicone, and cruelty-free. 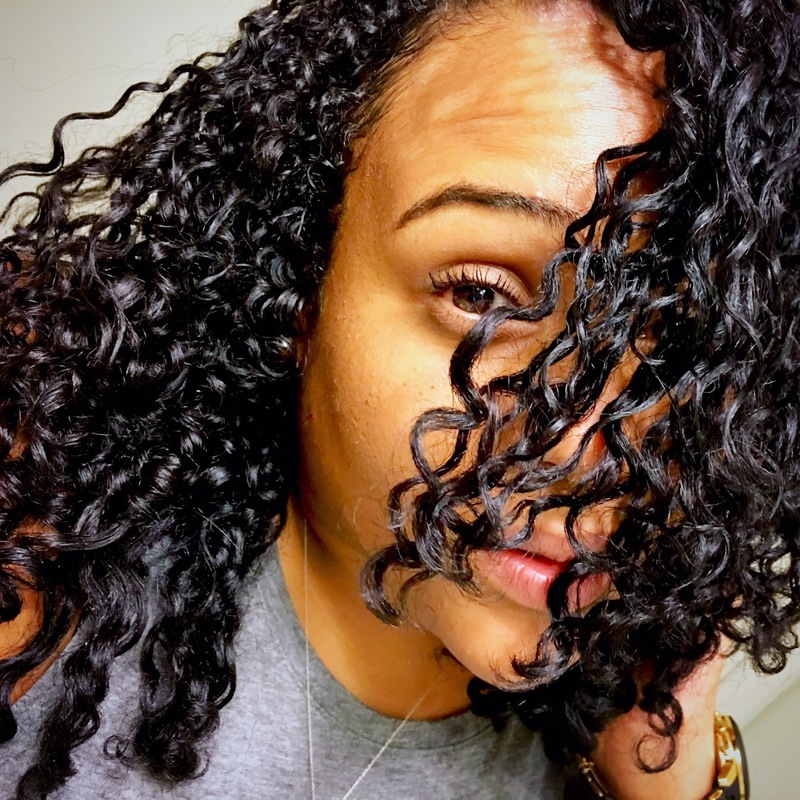 Today, we're going to be talking about the 4 products Lisa sent me - Clean Curls, Go-2 Hydrating Hair Milk, 8-Oil Defining Gelly, and the 8-Oil Blend. African Black Soap: African Black Soap in it's purest form contains plantain skin, cocoa pod, palm, palm kernel, and/or coconut oil. It is touted for skin detoxifying, healing and conditioning benefits. Potassium Cocoate: Potassium salt of coconut fatty acid used as a surfactant (cleansing agent) and for its foaming properties. Olive Oil:Olive Oil is rich in high levels of mono-unsaturated fatty acids and vitamin E. Vitamin E is an antioxidant, which is good for hair growth. Both mono-unsaturated fatty acids and vitamin E are good for moisturizing, protecting and nourishing hair. Olive oil makes hair grow stronger and its emollient properties prevent hair loss. Aloe Barbadensis Leaf Juice: Acts as a natural conditioning agent that restores the hair's sheen, luster, and shine. It not only makes the hair soft, but it also enhances strength and suppleness. After Clean Curls. No Conditioner yet! Generally speaking, shampoos don't impress me. So when I say this, believe every word: Clean Curls is now one of my favorite shampoos of all time. ALL TIME. Yes, it's up there with Be Kekoa Be Clair, TGIN Moisture Rich Sulfate Free Shampoo, and Ouidad Superfruit Renewal Clarifying Cream Shampoo. 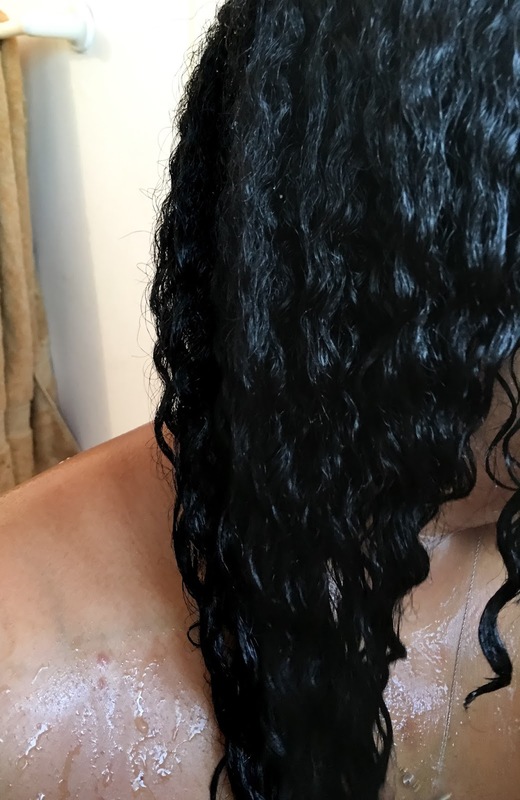 As a matter of fact, Clean Curls made such a huge impression on me that it ousted Ouidad in the Christina's Choice 2015 shampoos and cleansers category. It has a fresh, citrus fragrance (from the essential oil blend) that smells bright and refreshing, but isn't overbearing. It doesn't have the thick consistency of the other shampoos, but I don't mind. The liquidy-ness (yes, liquidy-ness) of the shampoo makes it super easy to put in an applicator bottle and apply directly to the scalp. Oh, and the biggest bonus here? You can detangle with it. You know that's where shampoos win me over. Clean Curls has more slip than some co-washes I've tried over the years, and I'm not kidding. 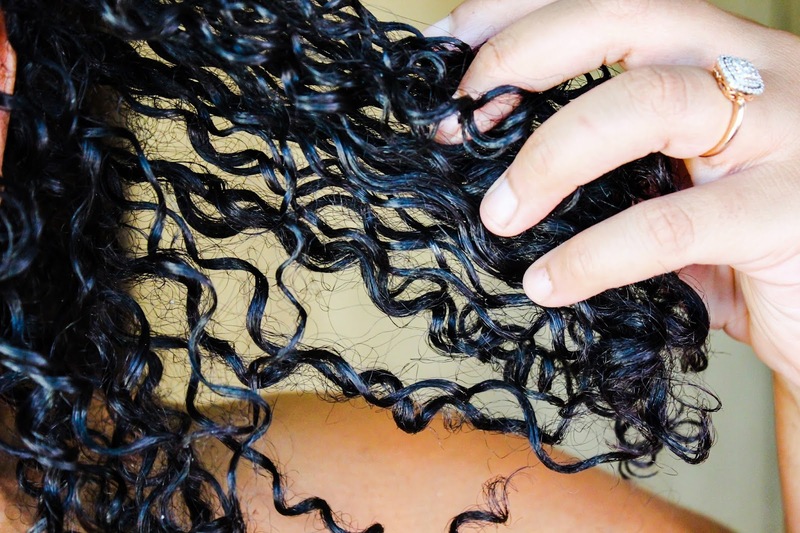 It has a nice lather, and cleans curls without stripping them -- but who cares? Did I mention the SLIP?! Christina's Choice 2015 nominee. Up for another one this year too. You can't buy that honor with me - it's 100% based on performance and value. Nuff said. Shea Butter: Extracted from the nut of the karite tree. Proven effective moisturizer, natural anti-oxidant, improves skin elasticity, and treats a variety of skin conditions such as psoriasis and ecszema. Glyceryl Isostearate: Emulsifying emollient used to stabilize water and oils. Fractionated Coconut Oil: Coconut oil that is lightweight, nutrient rich, and fast absorbing. All the benefits of coconut oil without the heaviness. Tryna turn great hair days into a lifestyle! You my right hand, you're my go to! Ha - I wonder if that's where Lisa got the name for this product...because it's super clutch. 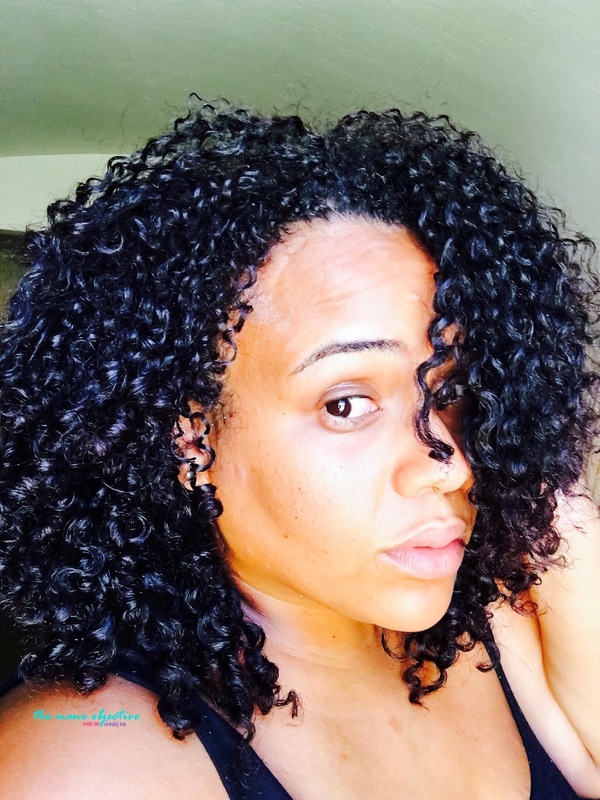 I love a good leave-in, and Go-2 Hydrating Hair Milk does not disappoint. The consistency is true to that of a hair milk (most hair milks are actually closer to lotions, meaning they're thicker), but with Go-2 Hydrating Hair Milk, you get that liquidy action that makes it super spreadable. In fact, my hair soaks it right up. It has awesome slip and plays nicely with tons of products. The smell is of sweet, heavenly citrus and my absolute favorite thing about Go-2 Hydrating Hair Milk is how it makes my curls feel instantly smooth. Like on site. Because of the true milk consistency, it's easy to go overboard. Don't squeeze the bottle super hard, because the contents will gush out. This is not the kind of hair milk where you need the upper body strength of 10 Olympian lifters to get it out. Go-2 Hydrating Hair Milk is a solid leave-in conditioner and hair moisturizer. It works great, soaks into the hair easily, and plays nicely with other products. If you're not here for super thick butter-esque lotions, definitely give this one a try! Grapeseed Oil: Pressed oil from the seeds of grapes, high in Vitamin E and linoleic acid. It is an antioxidant, moisturizing, and nourishing oil. Jojoba Oil: Oil closest in molecular weigh to the natural sebum produced by the scalp. It coats the hair shaft (its molecular structure prevents it from penetrating the cuticle) and aids in providing slip and protection. There's a special, special place in my heart for 8-Oil Defining Gelly. And I'm not just saying that to be nice, either. It's the real deal controlla (hehe) for these crazy curls of mine. It was love at first rake & shake. 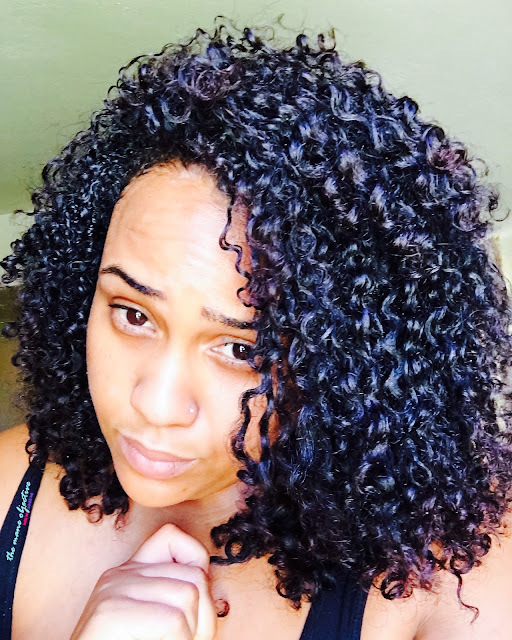 8-Oil Defining Gelly has kept my curls poppin' in a way that comes eerily close to Obia Naturals Curl Enhancing Custard. As in, I can easily swap one for the other and have an AMAZING hair day. And y'all know how I feel about Curl Enhancing Custard. 8-Oil Defining Gelly has a couple of thangs working for it that knock my socks off. One, you guys already know by now that I LOVE me some heavy gel. Light gels and curl creams just don't pack the same punch. And with as disrespectful as my hair is (especially in the crown), only a thick, heavy gel will do. But here's the caveat - I need the thick, heavy gel to not leave me on ramen noodle status for 4 days. I need my curls to dry super defined, and naturally expand over the course of the next 3-5 days. I'm not one to get all extra'd out with my hair - I don't fluff, ruffle with a diffuser, or pick my curls to the brink of extinction just for volume and a good photo op. And 8-Oil Defining Gelly definitely hits all the marks there. My curls are defined and awesome, and open up without manipulation over the next few days. The only bad thing I have to say about 8-Oil Defining Gelly? It doesn't come in a lifetime supply jar. I need Up North Naturals to quit playin' and put this stuff in the Eco-sized vat with the plastic handle. Needless to say, 8-Oil Defining Gelly is super moisturizing, ultra creamy gel that defines and moisturizes with the best of them. Although it does leave a slight cast, it's not the uber crispy type. It's a soft cast that will leave you with serious hair-in-hand-syndrome. And it smells heavenly. Hahahahaha that's not a question for me, is it?! You already know my answer. The real question is, have you ordered yours yet, or nah? Neem Oil: Ayurvedic oil that enhances shine and hair health, while providing naturally antibacterial, antifungal, and antiviral properties. Great for helping relieve itchy, dry scalp, dandruff, eczema, and more. You guys know I'm not super wild crazy passionate about oils like I am, say...curl definers. Oils don't get me hype unless they're truly something special. With that said, the 8-Oil Blend is a really good oil. I love the spa-esque herbal fragrance, the oils that it's made from (especially that neem and avocado! ), and how it feels on my hair and scalp. It's not super oily, and works great to combat dry scalp. It works great as a pre-poo, sealant, shine boosting serum, and scalp massage oil. I especially love the use of essential oils to naturally fragrance the blend. The only down side to the oil is the size. I know a lot of oils can be expensive (especially jojoba, avocado, and neem) - so I understand the bottle sizing. Other than that, I've got nothing. Real talk - this is one of the few oils I have that actually stops itchy scalp. For that alone, I rocks with it. I can't wait until my next henna shipment arrives - it's about to be on and curl poppington! Well there ya have it folks! 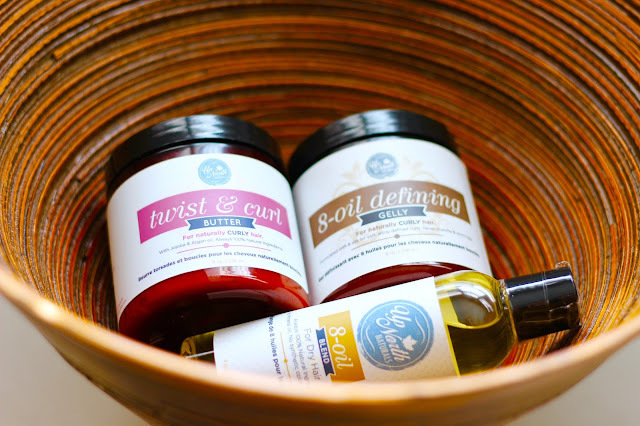 The 411 on the Up North Naturals Products. 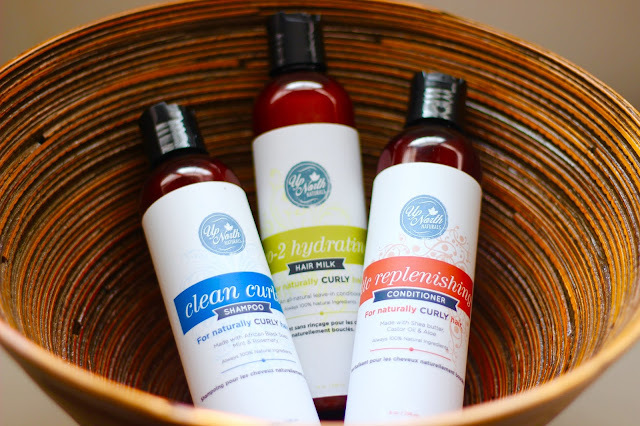 Super amazing products, from an amazing Black-Owned brand in Canada. What a time to be alive. Let me know if you'll be giving them a try! Oh - and how many Drake lines did you catch?